archy: Isn't this how we got the Hulk? Isn't this how we got the Hulk? Name: Khoma. * Looks like: A baby mammoth. Age: somewhere above 50,000 years. Discovered in the permafrost of northern Siberia just last year, this rare example of prehistoric monster is on its way to Paris to be analysed, treated for the germs it's harbouring and eventually placed on display. Khoma, still encased in ice, is enclosed in an isolated container and will be handled initially at a laboratory in Grenoble, which is the only one in the world specialised in gamma ray treatment. "Our baby, inside its box, will undergo three to four days of a continuous bombardment of 20,000 grays of gamma rays," he said, grays being the unit that measures absorbed dosage. That said, this is a pretty interesting mammoth. 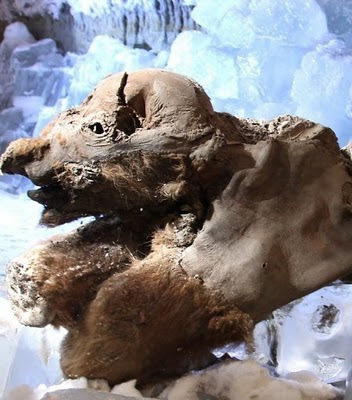 It's the oldest of the well-preserved baby mammoths and one of the oldest mammoths with tissue that have been discovered. It's too old for dependable radiocarbon dating. 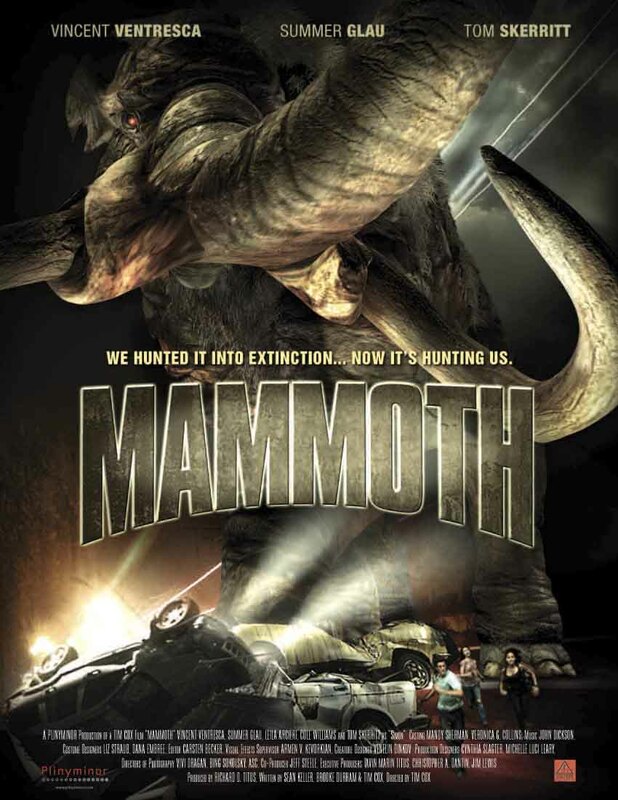 There was almost no coverage of the mammoth's discovery last year, just a short notice that someone had claimed the reward for finding a well-preserved mammoth. If the internal organs are intact, one of the most interesting objects of study will be what it ate. Half digested food can reveal immense amounts of information about the environment at the moment when the mammoth died. * This is almost certainly a misspelling of the name. The little mammoth was found on the banks of the Khroma River in northern Siberia, so I'm assuming the name should be Khroma, not Khoma.